Last week I was traveling again. Again? You ask incredulously, do you just travel all the time, where were you? No, I don’t travel all the time. I went back to New Jersey, yes, my work there wasn’t finished, nor is it, but that’s another tale. 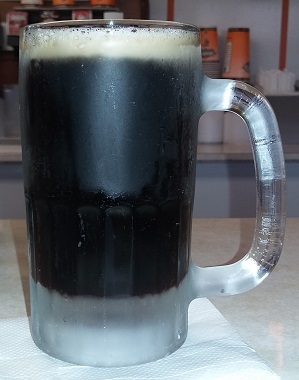 In addition to meeting up with the one and only anthony and trading some bottles, I found another root beer to review, Stewart’s Drive-In in Franklin Park. Yes, I know, I’ve already reviewed Stewart’s (twice actually), but this is once again a different recipe, as the bottled Stewart’s has long since been sold to a major conglomerate. The Stewart’s root beer stands were started in the 1920’s, along with many others. This one’s been there since the 1960’s, a relic of a bygone era, serving up nostalgia, one frosty mug at a time. 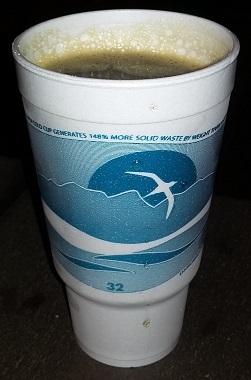 While some of the others have switched to paper cups, this one remains true to their frosty mugs. The stand even has it’s own well, so it’s water isn’t chlorinated. 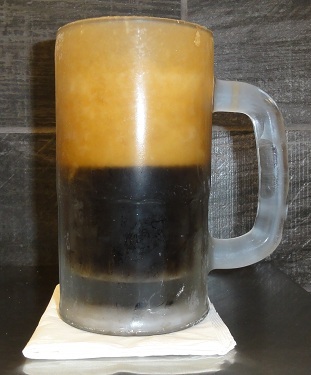 The Body is a classic root beer stand taste, some creamy vanilla and spices and not overly strong. It’s nice and crisp too, with no unpleasantness. The Bite is good too from those aforementioned spices. The Head is tall and foamy and the Aftertaste is nice a and sweet, faint vanilla. It’s solid and yummy, but, just, isn’t quite there. It’s not like there’s anything wrong with it, it could just use a little more. A little more spice, a little more vanilla, a little more Aftertaste, to push it over the edge. They got some great food there. I had a pizza burger, but, I think I would have been better off getting a dog. I’d already had pizza that day so after my first bite, I realized I wasn’t in the mood. The cheese fries were wonderful. 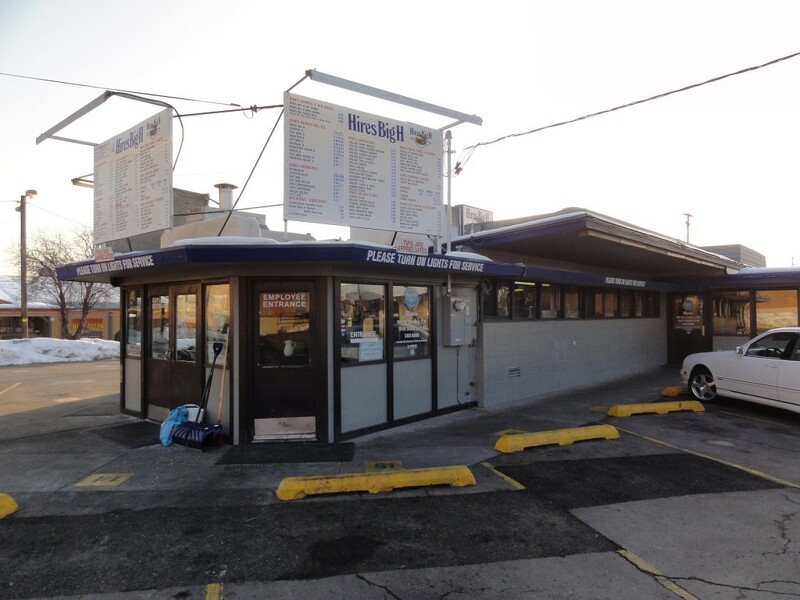 So stop by and give this classic drive in a try. You won’t regret it. 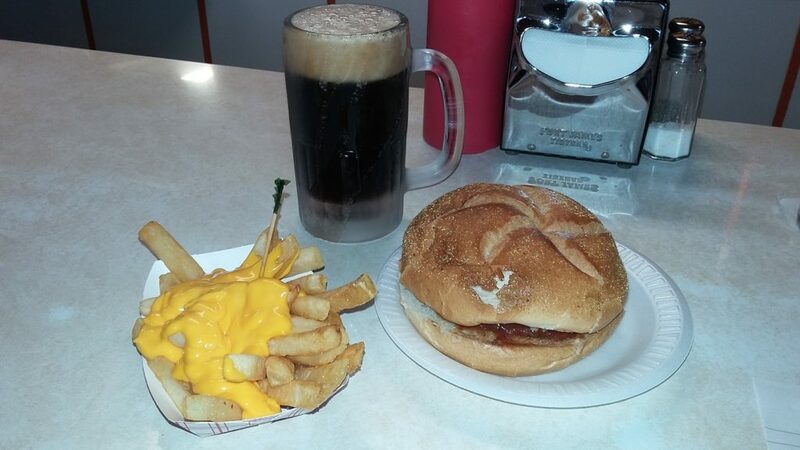 A pizza burger, cheese fries, and a frosty mug. Such bliss. Such a cute little drive-in. They don’t make them like this anymore. For the past 37 years, Roscoe’s Root Beer and Ribs has been operating seasonally in Rochester Minnesota. 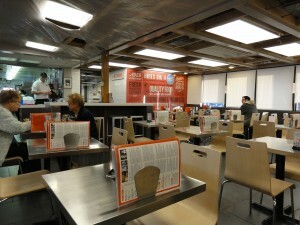 Originally an A&W, the Rosses purchased it in 1982 and made it into their own root beer stand. Over the decades it’s become an iconic place with legendary food, such as their ribs, burgers, and jojos. But, this is their last fall. They’ve finally decided to call it quits, and since the little root beer stand is on their property, the idea of selling it is too much for them. 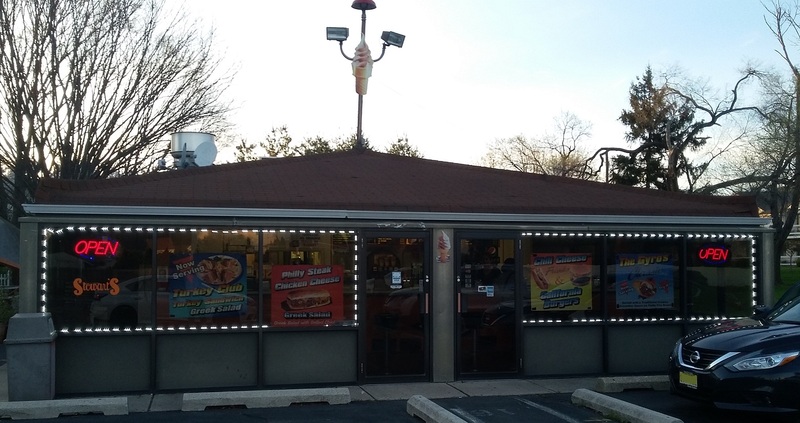 Another iconic, unique, American root beer stand bites the dust. And so, even though I just moved in to a new house, and am very busy unpacking, I knew I had to make the hour and 40 minute trek down to Rochester this past Saturday, to try this brew that will be so sorely missed by the community. My wife asked if such a journey was really worth it. I said that if it would be worth it for anyone, then it would be me, someone who’s spent nearly 20 years searching for new root beers. 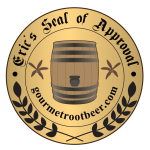 Plus I haven’t done a root beer stand review in ages. It was pouring rain, but I would not be deterred. Root beer and ribs were ordered. The Body is sweet and creamy with a classic root beer stand flavor and vanilla and spices shining through. The Bite is medium and finishes smooth, with the spices shining but not overpowering. The Head is tall and frothy, and it’s a shame they don’t have frosty glass mugs to really bring it out. The Aftertaste is a nice spiced vanilla that doesn’t overstay its welcome. Alas, what a fine brew. I only just met you, but I lament your passing as though we’d been friends for ages. 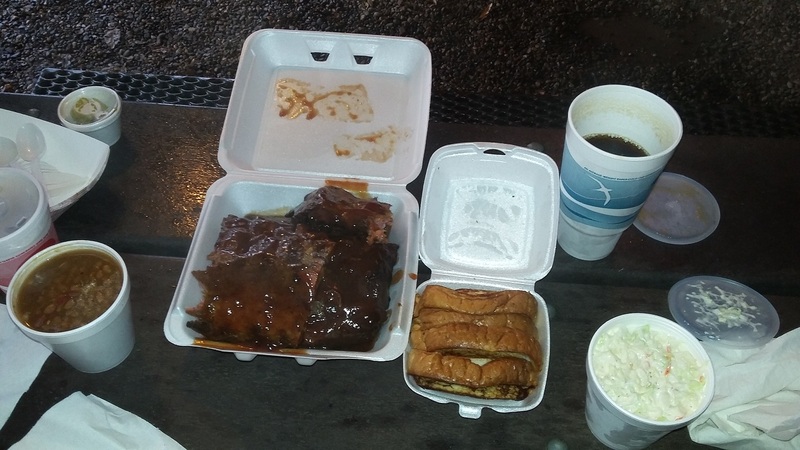 The food was quite good as well, a family order of ribs with sides of baked beans and coleslaw really hitting the spot. It’s only open another week or two, if you’re in the area, you should get some while you can. Roscoe’s Root Beer and Ribs stand. The most important part of the menu. What could be more American than this meal? Very delicious. I ate until I was stuffed. I was visiting Salt Lake City to give a presentation on electric vehicles and vehicle-to-grid and I had to drop by and check out the local root beer stand. Started in 1959 it was originally a Hires Drive-in, but after the owner died, they were forced to change the name so they added Big H to it since he only had a verbal agreement with Hires to use the name which wasn’t enforceable after none of the people involved in said verbal agreement were alive. Everything else is identical to how it was, including the root beer, so this is really one of the few Hires root beer stands left in the US. They have three in the area. Interestingly, they also make their own root beer concentrate, Hires Big H, which is a different recipe. Why they don’t sell both side by side is beyond me but whatever. 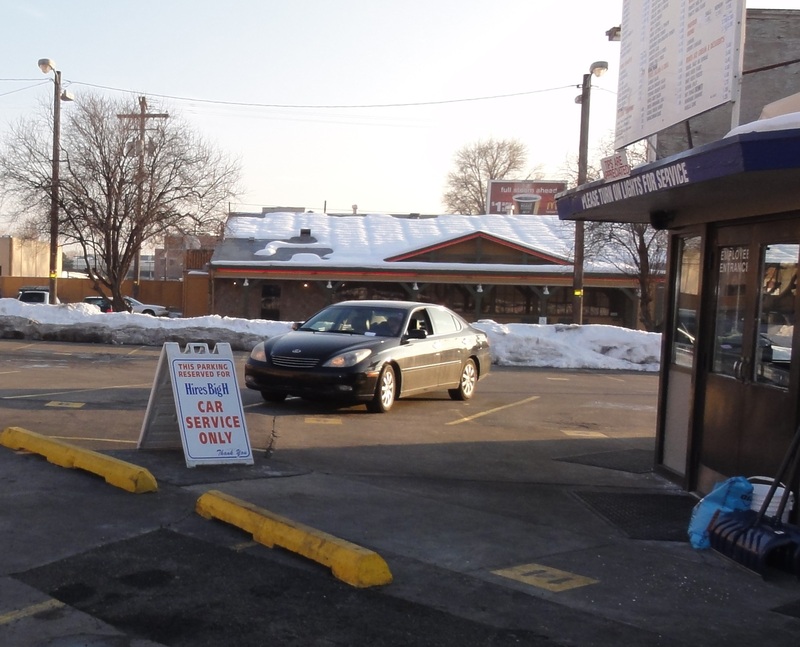 It is the classic 1950’s diner with car service still available. They ask you to have your lights on if you’d like car service in the dedicated parking area. 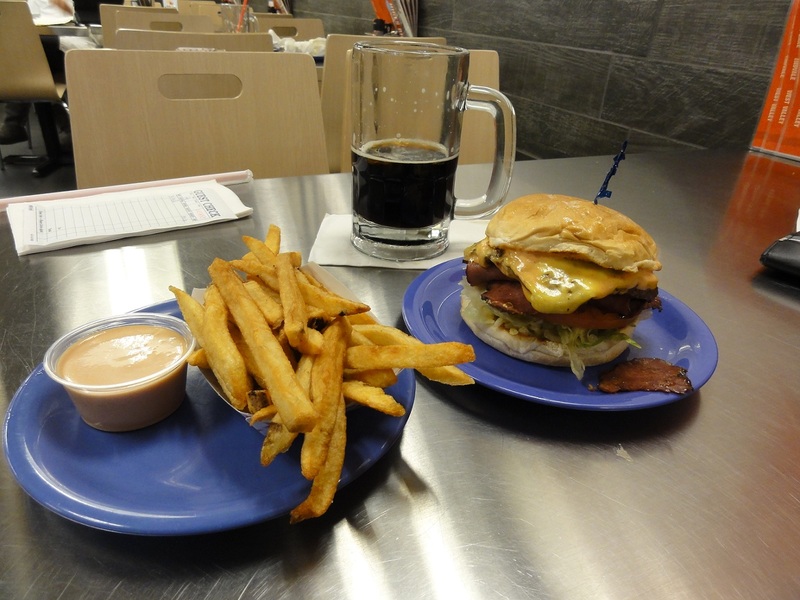 They serve the standard diner foods with signature burgers and a secret fry sauce. It’s pretty cool. The Body is spicy and caramely with mild licorice hints. It isn’t very creamy, more of a dark flavor, but it isn’t overly strong so it’s quite refreshing. There’s an ok Bite from spices and carbonation. The Head is very tall when you ask for it that way but it fizzes down a little quicker than I prefer. The Aftertaste is a light spicy caramel with the fainest licorice tint to it. I really wish the whole thing were stronger. This is a solid and refreshing brew but it doesn’t really have anything extra special to move me, and it’s a little weak for my tastes. But it’s good to get some Hires since my petition to get them to bottle it seems in vain. It does go well with their food. The fry sauce is yummy and their pastrami burger was amazing. The extra tall Head pushes it barely in to 3.5 territory, so it’ll probably be the low cutoff for that. The service was extra nice too, so I do recommend dropping by if you’re in the region.